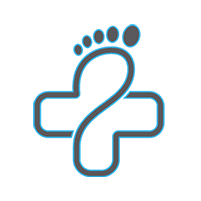 The expertly trained and highly skilled podiatrists at National Foot & Ankle Center are dedicated to providing the most medically advanced and effective foot and ankle care available to residents in Washington, DC and the surrounding communities. They also maintain a caring and open environment in their clinic and believe that prompt diagnosis and early intervention, as well as prevention, are essential for the care and treatment of your feet and ankles.To prepare for their specialty, podiatrists undergo extensive education and hands on training focused on maintaining the health and function of your feet and ankles. The providers at National Foot & Ankle Center combine their extensive training with a wealth of clinical experience to provide their patients the best podiatric care anywhere. They offer treatment for chronic complaints, acute injuries, and emergency care.The podiatric specialists at National Foot & Ankle offer a broad range of services for essentially all your foot and ankle needs, including:Sports injuries Diabetic foot care Heel and ankle pain Achilles tendon injuries Reconstructive surgery: Including minimally invasive laparoscopic surgery Bunion treatment They also provide: MLS laser therapy for inflammation and pain Bone marrow aspiration Stem cell injections Advanced wound care Laser treatment for fungal toenails Call for an appointment today or contact National Foot & Ankle Center via their online, patient-friendly scheduling service.